30ml Touch up pot with a built in brush inside the cap. How do I know which colour to select? 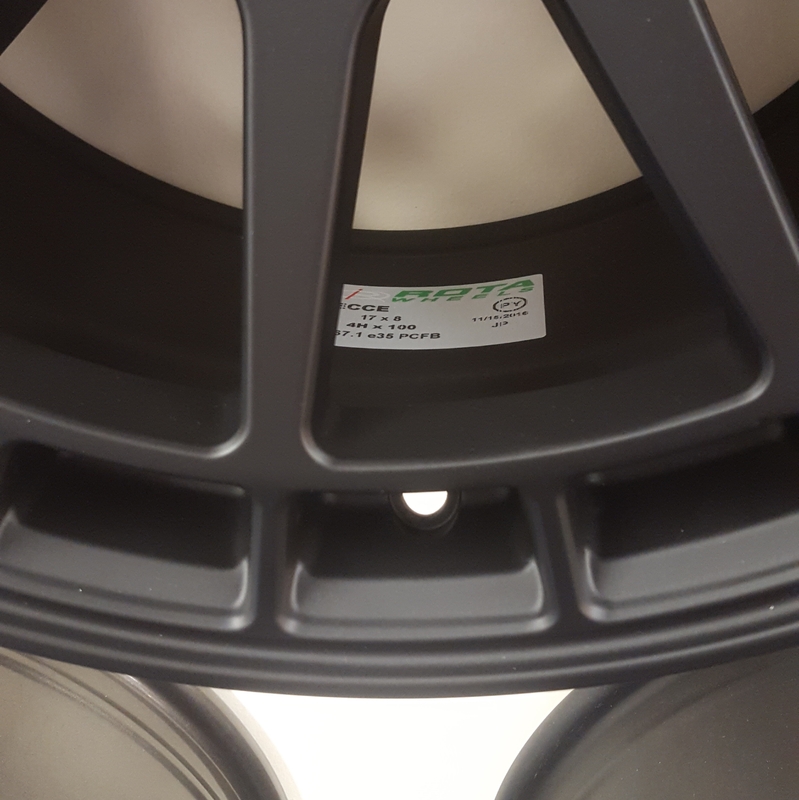 The most accurate way to work out which colour you have is to check the Rota sticker inside the wheel. This can be found directly behind the valve hole, on the inside of the wheel. The colour of your wheel is indicated by 4 letters. 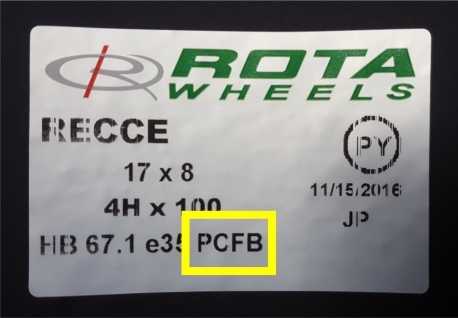 In the example above, you will see that the code is PCFB. This stands for Flat Black. 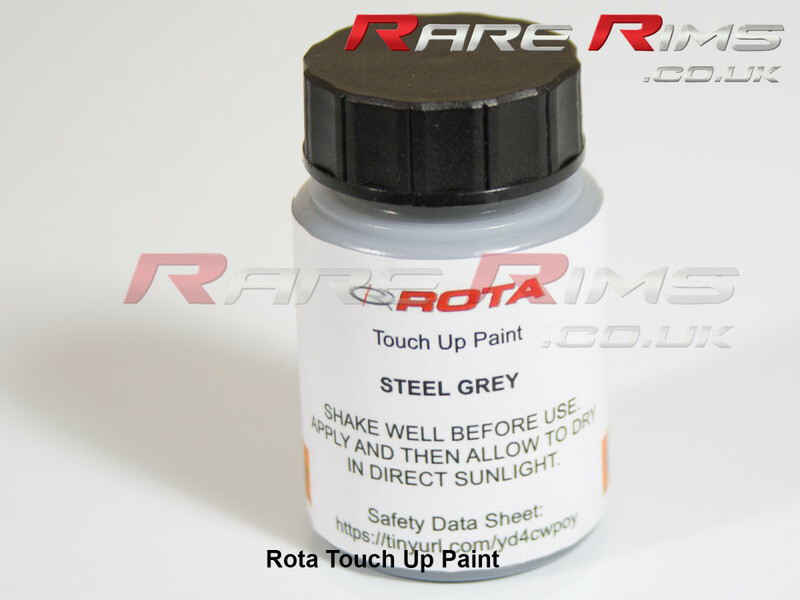 Here are the codes of the wheels that we can supply touch up paint for.